The legal doors slammed shut last December on that infamous “shadow campaign” investigation. But this week, on Friday, we expect to get a peek inside the probe whose aftermath still roils city politics. Let’s first set the scene. Just four months ago — on Dec. 9 — then-new U.S. Attorney for the District Channing Phillips announced that “the admissible evidence is likely insufficient” to charge anyone else in the four-year-old investigation of Vincent Gray’s 2010 campaign for mayor. Phillips shut down the probe. 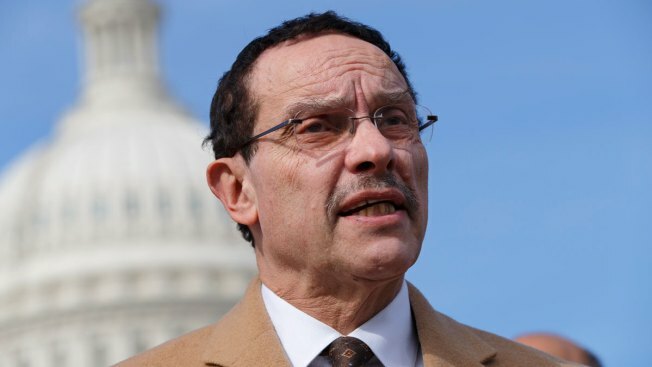 That was great news for former Mayor Gray. He had lost his 2014 re-election bid and as of December was now clear of potential criminal charges. Gray is trying to restart his political career with a Ward 7 council campaign. Gray viewed the shutdown as vindication for him, and legally it was. But others note that qualifying phrase “admissible evidence” and still wonder, fairly or not, what Gray knew or did. Seven people pleaded guilty in the shadow campaign probe. That campaign poured more than $650,000 into Gray’s successful 2010 defeat of then-Mayor Adrian Fenty. Principal among the seven guilty is Jeffrey Thompson. He pleaded guilty to funding the whole effort and in court had implicated Gray. But Gray was never charged. He denies any knowledge of the shadow campaign or any wrongdoing. On Friday, barring any last-minute legal snag, a federal court will unseal dozens of documents related to search warrants carried out during the shadow campaign investigation. It’s all in response to a suit filed by The Washington Post. The Post successfully argued that results of the search warrants — under seal during the investigation itself — now should be made public, as other warrant results generally are. “The election investigations had — and continue to have — a profound impact on D.C. politics,” lawyers for The Post wrote. The lawyers contend the public has a limited right to see at least redacted results of the search warrants. Sources close to Gray said any documents released Friday are unlikely to contain “smoking gun” allegations against Gray. But the sources say there could be new insights into all the campaign cash sloshing around, and who benefited from it. And the sources say there could be embarrassing disclosures about personal behavior. The Post raises in its 26-page filing the key question that your Notebook has been asking in our speeches, columns and interviews. We’ve asked more than once why Thompson wasn’t considered a credible witness. What is it about Thompson that his word on Gray’s involvement — if any — might be disbelieved by a jury? Lawyers close to the case say it’s unclear whether those questions about Thompson will be answered on Friday, but there could be more hints about it. Some of our curiosity may be satisfied on Friday. But your Notebook suggests the disclosures may raise more questions than they answer. ■ The popular DC Circulator bus system was trashed as unsafe in a new audit. ■ The Nationals stumbled through the home opener and then suffered a rainout postponement because it was too cold. Yes, too cold. ■ The Cherry Blossom Festival fireworks also were canceled because of high winds and cold. ■ Bernie Sanders finally made it onto the D.C. June 14 primary ballot after local Democratic Party fumbling and bumbling. ■ The Wizards finally bounced themselves from the NBA playoffs after teasing us all season. ■ The checkbook came out to write the IRS a tax check. No refund this year. ■ We won tickets to “Jersey Boys” at the National Theatre but couldn’t go. ■ The D.C. Council again voted, it seemed for the millionth time, to keep the unusual McMillan Reservoir redevelopment project going with special dispensation. ■ Congress continues to have a bad week, every week. A new McClatchy-Marist poll says public disapproval of congressional Republicans is the highest in two years. While 21 percent of registered voters approve of the Republicans, according to Marist, a whopping 73 percent disapprove. As for registered voters’ views of Democrats in Congress, 36 percent approve and 59 percent disapprove. Next week, maybe a spring in our step.